Why Choose Rubicon Garden Rooms? A Rubicon Garden Room is Built Like a House NOT a Shed..! We recognise that there are dozens of Garden Room and Garden Office suppliers available for you to choose from, so what makes us so different? 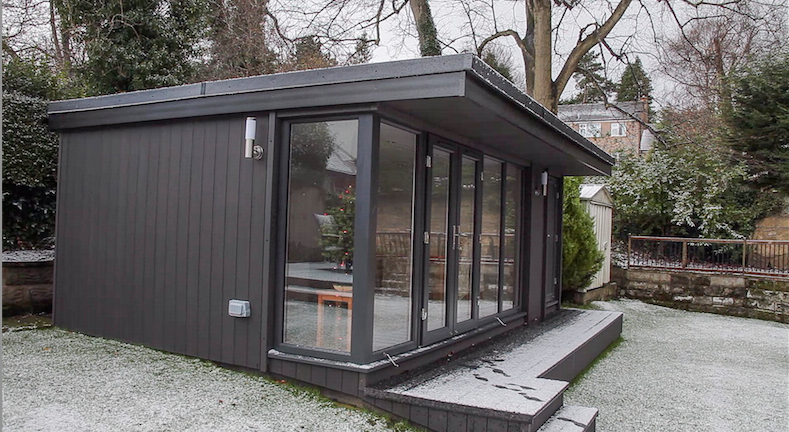 Discerning customers appreciate that not all Garden Rooms and Garden Offices are made the same; insulation standards, roofing methods, cladding quality, and structure details differ considerably. Somebody can always offer you a cheaper alternative, but to achieve that they will always compromise their specifications, using cheaper materials or less substantial structural elements. So when choosing your Garden Room or Garden Office supplier, you will need to ask yourself whether you want a glorified insulated shed from one of our competitors, or a properly built structure from RUBICON™ which is Built to Last in excess of 30yrs and is as good as a small modern house. When buying from us you can be assured that you are receiving the ultimate value for money specification, with no compromise on structural performance. Zero Maintenance exteriors - power wash only required? So why not view our Garden Rooms HERE or Contact Us for further information?